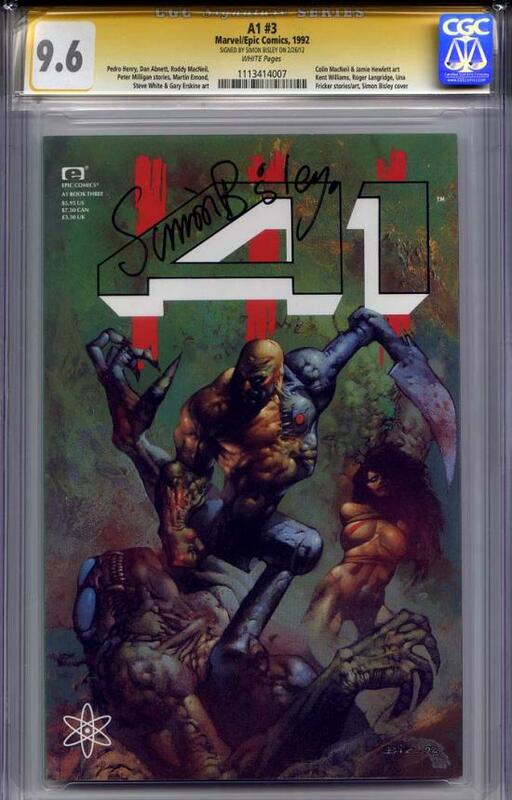 A1 #3 CGC 9.6 Signature Series signed by cover artist SIMON BISLEY. This follow up series to the Atomeka Press run from the late 1980s, this anthology series from Marvel/Epic featured the UK creators from its parent series. Pictured here is the only graded (let alone signature series) copy of this book ever graded for signature series. Unread file copy. Simon Bisley, notoriously hard to get due to his rare convention appearances, and normally a UK convention at that.